Mr. Plastics manufactures production parts for the automotive and transportation industries, medical OEM distributors, recreational equipment manufacturers, lighting manufacturers, and numerous other industries. 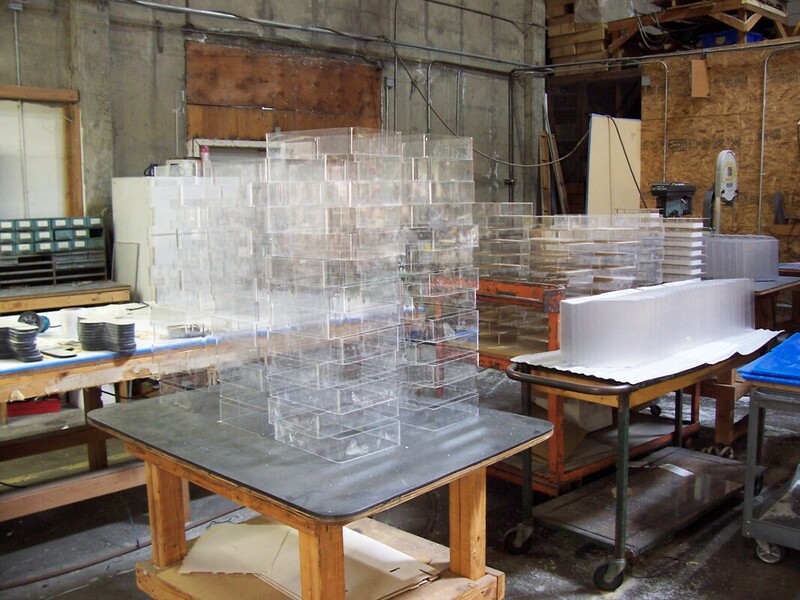 Mr. Plastics has a large warehouse with lots of room for stock and customer materials, customer molds for thermoforming, and space for large-size and large-scale fabrication jobs. We manufacture medical, office, consumer and many other types of products. Roll and flat stock waiting to be formed and fabricated into new products. Shiny new acrylic display ready for packing and shipping. A small product order ready to ship.